This past Sunday, October 26th saw a record 40 riders enter this event and nothing but positive comments from all involved. When we counted parents and friends, there were over 150 people in attendance. This large crowd provided a sizable spectator audience and after the competition, everyone present was treated to a barbeque lunch. Avid off-road racer and land owner Keith Billings set up a fantastic course with three unique special tests. Keith’s lengthy race experience along with his strong desire to help our young riders advance in the sport helped in the spectacular course design. The first test on the 3 kilometre loop was the Enduro test that featured sweeping turns and gentle jumps in soft dark soil through a cedar forest. Next up was a fast grass track that was laid out on the side of a hill allowing the small bikes to really open up. The last test on the course was the Extreme Test that featured little gullies and rock piles along with small log crossings. Perfectly designed, it allowed the older riders to ride over the obstacles for the fastest line and the young riders on the smallest bikes were given the opportunity to ride around those difficult obstacles for a slower but safer route. It was a course that many said was entertaining for even experienced adults. The “C” Class is for the youngest and least experienced riders. This class is made up of those new riders that are on 50cc machines for the most part and are just getting used to riding. Luke Smith has ridden a couple of Kids Enduros to date and took the win in this class. He finished 100 seconds ahead of second showing that he is ready for the “B” Class next year. For his accomplishment along with his first place medal he won a $30 gift certificate from Royal Distributing. Hayden Wilcox and Noah Brown took second and third with a much closer time differential. They both walked away with $20 from series sponsor Royal Distributing. “B” Class is for those more seasoned riders. Kids who have maybe been to a race before or maybe they have been riding for a couple of years already and can make a bike go pretty good. Chase Godmere who we have seen before as well at the Shelburne Kids Enduro landed in first place taking the $30 Royal Distributing gift certificate. Also, as he was the top finishing Yamaha rider in his class, he received $75 in Yamabucks. Jena Ridpath impressed many with her hard charging style that resulted in a second place and $20 from Royal. Macallister Ash filled out the podium in third a mere 3 seconds behind Jena. He had a big smile on the podium with a $20 gift card from Royal in hand. I think he went there immediately after to spend it as we were less than 10 kilometres away from the main Royal Distributing location in Guelph. The “A” class is reserved for serious racers. The class is made up mostly of older kids or those with serious race experience. Kyle Bichard was the favourite going in as he has two overall victories at the Shelburne Kids Enduro under his belt along with a wealth of Cross Country race experience. But it was not the “walk in the park” for him that some expected as Mike Maclennan, current Championship leader in the WEC Cross Country series came out to try is hand at this form of competition. Mike stayed very close to Kyle throughout the day and even won fastest time in the Enduro Test on the first lap. He ended up second place and 29 seconds behind Kyle at the end of the day. Up and coming off-roader Chad Morin used his motocross skills to finish third 88 seconds behind Mike. The talent in the “A” Class was very high and it showed that with a series like this continuing, the sport has a future. As everyone enjoyed the barbeque lunch complements of Wiesner Insurance, WEC scoring specialist Stephen Abel tabulated results. This four lap enduro with twelve special tests was scored perfectly within minutes. Even after five years of flawless electronic scoring behind World Enduro Canada, it is still impressive to see such quick and accurate results. An awards ceremony attended by all racers and their supporters followed with plenty of interviews and speeches over the PA system. In total, $210 from Royal Distributing was awarded to our top three finishers in each class. In addition, series sponsor Yamaha Canada awarded $500 in Yamabucks to the top finishing Yamaha mounted riders. World Enduro Canada would like to thank the Billings Family and our generous sponsors for supporting the future of our sport. With the popularity of this series quickly growing, we know there will be a wealth of Pro racers in the years to come. Flex Your Engine with Bel-Ray High Performance Fork Oil, formulated for use in all suspension forks including those using cartridge and dual chamber systems. Through the use of carefully selected high-viscosity base oils, fade is reduced providing smooth operation over a wide temperature range. The addition of friction modifiers increases lubricity to minimize stiction and drag while greatly improving fork action, while anti-foam properties eliminate foaming and air entrainment for consistent dampening. 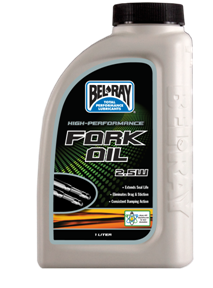 Bel-Ray High Performance Fork Oil is recommended for all OEM factory fill replacements. Available in 2.5w, 5w, 7w, 10w, 15w, 20w, and 30w Grades. 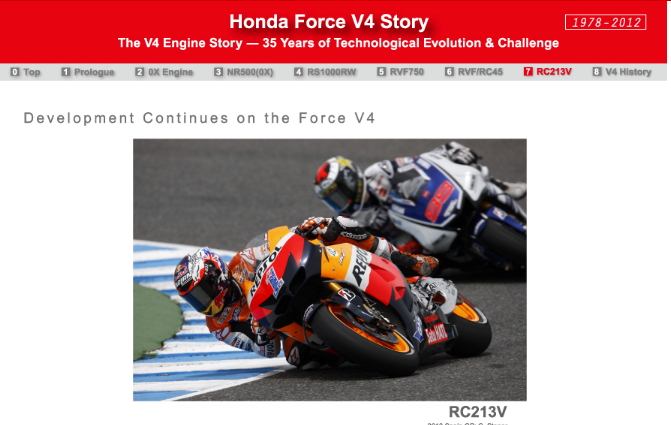 An important milestone has been reached by Norton Motorcycles! Norton Motorcycles (UK) Ltd. passed an important milestone this week in their ability to supply bikes to the North American market upon the successful completion of the durability and emission testing for its Commando 961 series of motorcycles. The durability testing was carried out by a certified testing laboratory and at specific intervals during its 15,000 kilometre accumulation the bikes were tested to ensure compliance with EPA and CARB exhaust, noise and evaporative emissions. The lab’s testing also completes a significant durability and safety trial and the new Nortons passed and exceeded all standards by a wide margin. While this is news which may seem a bit boring and technical in nature to the average motorcyclist, it is extremely challenging and it is the first approval sought by the new enterprise to bring bikes to North America and a critical milestone for a specialty manufacturer like Norton. The remaining steps in the Canadian certification process are primarily paper based compliance reporting and subsequent approval from various Canadian federal departments. In order to assist in this endeavour, Norton Canada has engaged the services of the Motorcycle and Moped Industry Council (MMIC) to facilitate acquiring the remaining approvals in the shortest time possible. The Canadian approval processes are shorter and more straightforward than the multi-state process required in the U.S. and Norton is therefore anticipating earlier arrival of Norton bikes to the Canadian market place. 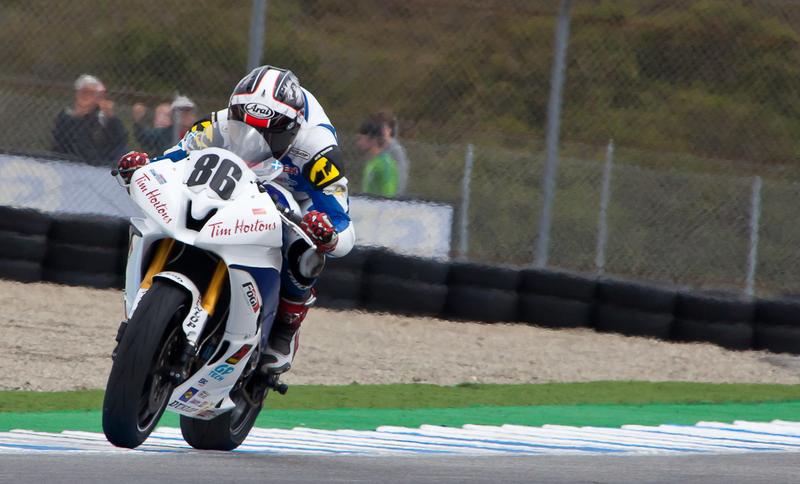 The factory, located within the Donington Grand Prix Circuit, is ready and waiting to begin production of Canadian and US 2013 models, and to deliver bikes to these markets which will likely be Norton’s largest market. Visit www.nortoncanada.ca for news on the Canadian certification process along with purchasing information and dealer locations, and visit www.nortonmotorcycles.com for all the latest news about Norton Motorcycles and recent manufacturing expansion at the Norton factory. 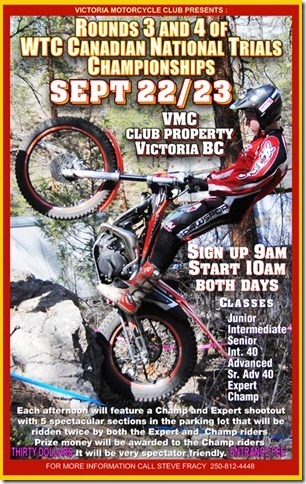 The final rounds of the Canadian National Trials Championship will take place in Victoria, BC on Sept 22 & 23rd. The Victoria Motorcycle Club have another excellent course ready to go that will be a challenge for all skill levels and very spectator friendly. Come out and watch The Original Extreme Motorcycle sport. Greg Tracy's under 10:00 race run at Pikes Peak! Know what a fully paved Pikes Peak track means? Some new records being broken - that's what! 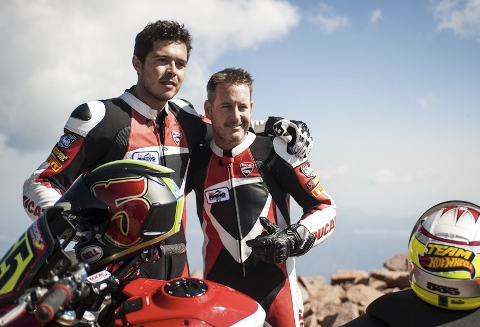 Watch Team Ducati's Greg Tracy's race up Pikes Peak in under 10:00 minutes. The 10:00 mark was only beat last year by Monster Tajima in his unlimited car. Be prepared for some pucker moments - it's an intense 'less than' 10 minutes. Turn up the volume and enjoy! The most talked about race series in the province is about resume this Sunday, August 26th. Round #2 of the Kids Enduro Series will be taking place at the Billings Farm just north of Guelph. For those unknowing, the Kids Enduro Series is new this year and is the offshoot of the springtime favourite “Shelburne Kids Enduro” that has been going on for three years. Due to the success of that event, World Enduro Canada saw a need to develop the concept into a Championship series. The Enduro itself is a World Championship style event that duplicates the rules and guidelines of the Canadian Enduro Championship. With four laps around the course and three special tests per lap all timed to the second by transponder, young riders get to experience competition in a safe and controlled environment. Riding against the clock versus bar to bar racing is less intimidating for young riders but every bit as rewarding. The course is set up without compromise and with young riders being the only focus. Obstacles are specifically designed for small wheels and the kids are the center of attention all day. The special tests and the trail loop are challenging yet attainable for the beginner on a 50cc automatic as well as the seasoned racer on a 85cc two stroke. Riders are divided into three ability classes and all finishers are rewarded with a medal. The $25 entry includes a great day of riding as well as a BBQ lunch for all attendees. The awards ceremony is the climax of the day when all riders get their time on the podium. Entry includes the loan of a transponder for the day and accurate and immediate scoring. Results are posted on the World Enduro Canada website that same day for everyone to review in detail when they get home. 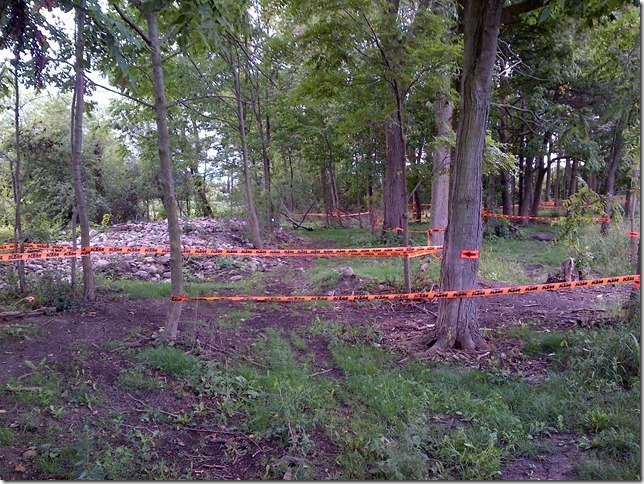 The course for this weekend’s event in Guelph is ready to go and is in a beautiful setting. A quick walk around the Extreme Test this past weekend confirmed this will be a course entertaining for all skill levels. This year, all 50cc riders get their name entered into the draw for a Marin mountain bike courtesy of Royal Distributing. This draw will be held after the last round of the series. We ask that attendees RSVP to sean@worldendurocanada.com if possible so we can make sure we have enough food and beverages on hand for everyone at the BBQ. That being said, we have been receiving emails over the past week from parents advising they will be in attendance and it looks to be a record turn out for this kids specific event. Any parent or rider who has attended these events in the past will attest to the fact that this is very special day that will always be remembered. It will be a true “can’t miss” event. On certain motorcycles, the front master cylinder hose might interfere with the threaded end of the reservoir retaining screw, resulting in damage to the hose. If left unchecked, the damage could cause a brake fluid leak, leading to a front brake system failure. This could result in a vehicle crash causing personal injury and/or property damage. Correction: Dealers will install different hardware that will not damage the hose. On certain motorcycles, the swingarm shaft pivots could loosen from the swingarm, which could cause a loss of control resulting in a crash causing injury and/or damage to property. Correction: Dealers will tighten both swingarm shaft pivots to specifications. On certain motorcycles, the steering damper mounting bolts at the steering head were assembled with an insufficient amount of thread locking compound and could loosen during vehicle operation. Also, due to incorrect assembly tolerance, the steering damper's uniball bearing could separate. Both these issues would cause the steering damper to become disconnected and fail to function correctly, resulting in altered handling characteristics and an increased risk of a crash causing injury and/or damage to property. Correction: Dealers will install a special washer at the steering damper's mounting point and apply thread locking compound to the mounting bolts and torque to specifications. On certain motorcycles, in extreme cases, engine heat could cause the exhaust butterfly Bowden cable to melt or burn, which could cause property damage and/or personal injury. Correction: Dealers will replace the cable with an updated design. 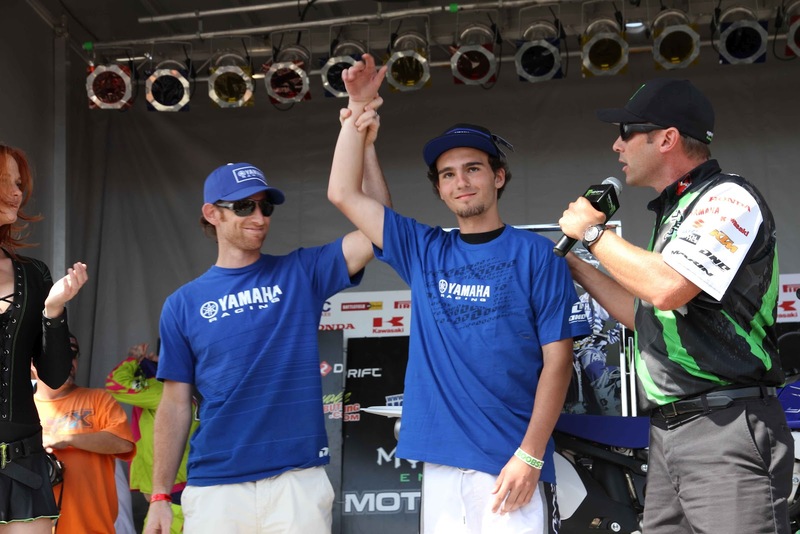 Yamaha Gives Away TWO Factory Rides at Walton TransCan! Steven Anderson of Hillsburgh, ON, and Tanner Ward of Bright, ON both received Factory Rides at the Walton TransCan Amateur Motorcross Nationals on Aug 14-19. Ward was initially awarded the prize on Saturday’s award ceremony after the Amateur races had concluded. However, a scoring error was found later and the points were re-calculated. The actual top Yamaha point getter was Steven Anderson. Anderson tops in points with a total of 137 racing the MX1, MX2 and MX3 junior classes. The Walton TransCan race week concluded the 2012 Factory Ride Award contest. 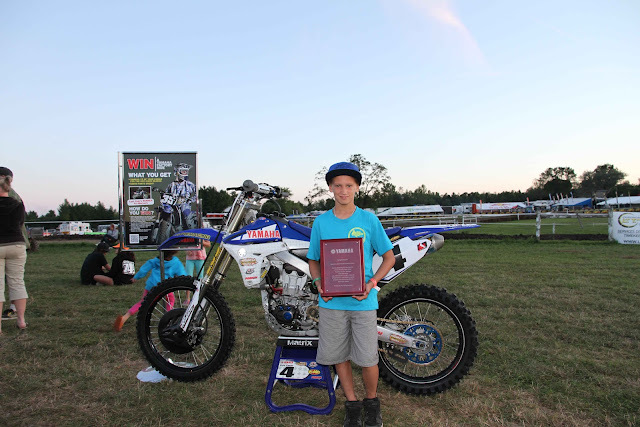 Four winners across the country have won YZ’s of their choice and collected $2500 in parts and accessories for the 2013 race season. Be sure to get on a Yamaha next year, you could win a factory ride! The Harley-Davidson 110th Anniversary celebration will climax in Milwaukee, Wisconsin, August 29 to September 1, 2013. Information on 110th Anniversary events, programs, and other merchandise is available at harleycanada.com. Anniversary Vintage Black paint scheme. These models come with all available Factory-installed options as standard equipment. - 1200 Custom 110th Anniversary Edition model (limited to 1,500 motorcycles) includes Smart Security System. - Super Glide Custom 110th Anniversary Edition model (limited to 1,450 motorcycles) includes Smart Security System, ABS, and Chrome Aluminum Profile Laced wheels. - Fat Boy Lo 110th Anniversary Edition model (limited to 1,750 motorcycles) includes Smart Security System and ABS. - Heritage Softail Classic 110th Anniversary Edition model (limited to 1,900 motorcycles) includes Smart Security System, ABS, and Chrome Profile Laced Aluminum wheels with Wide Whitewall tires. - Road King 110th Anniversary Edition model (limited to 1,750 motorcycles) includes Smart Security system, ABS, Cruise Control, and Contrast Chrome, 28-Spoke Cast-Aluminum Wheels. - Electra Glide Ultra Limited 110th Anniversary Edition model (limited to 3,750 motorcycles). - Tri Glide Ultra Classic 110th Anniversary Edition model (limited to 1,450 motorcycles) includes Smart Security System. Each of the CVO Anniversary Edition models will feature an exclusive Diamond Dust and Obsidian paint scheme. - CVO Ultra Classic Electra Glide 110th Anniversary Edition model (limited to 1,100 motorcycles). - CVO Road King 110th Anniversary Edition model (limited to 900 motorcycles). - CVO Road Glide Custom 110th Anniversary Edition model (limited to 900 motorcycles). 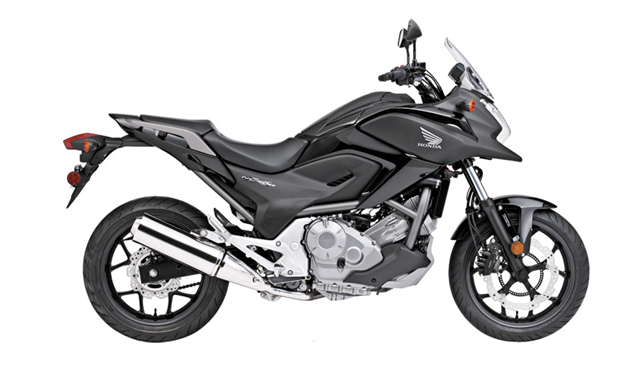 Honda Canada has released pricing information for the NC700S, NC700X. The road biased NC700S comes with a base price of $8,799 while the adventure-styled NC700X comes in at $8,999. Those prices include ABS. What it doesn't inclue is the dual clutch transmission option which is available in some other countries. 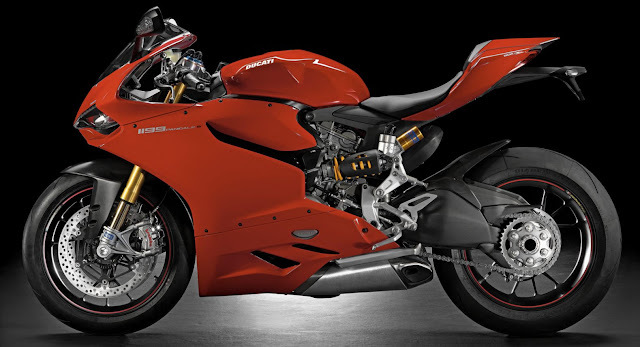 The bikes both features an all-new 670 cc, liquid-cooled, inline-twin engine. There's also a storage area where the gas tank is on most motorcycles - big enough for a full face helmet. That's pretty handy when you're looking for a spot to put your helmet and you don't want to carry it with you. According to Honda "The unique design creates a muscular, easy-to-use powerband not unlike that of a big-bore cruiser. The six-speed manual transmission complements the powerband by using wide gear ratios – no need to be constantly shifting up and down to maintain strong performance. Through the use of friction-reducing technologies, integrated components (such as running the oil pump using the counterbalance shaft and the water pump using the camshaft, which reduces the number of shafts required), precise PGM-FI electronic fuel-injection and efficient combustion, the NC700XA engine delivers exceptional fuel economy." - Main Stand, "S"$239.95 MSRP (a center stand). Carlin Dunne Earns Back-to-Back Victories and Course Records on a Ducati Multistrada 1200 S Carlin Dunne dominated the 2012 Pikes Peak International Hill Climb, setting the new course record for motorcycles today from pole position for the second year in a row on a Ducati Multistrada 1200 S. This win marks Ducati’s third-straight victory at the historic race to the clouds. Both Dunne and Spider Grips Ducati teammate and six-time winner Greg Tracy finished the race under the 10-minute barrier, which is a first for any motorcycle in the race’s 90-year history. Dunne crossed the finish line at the 14,110-foot summit of Pikes Peak with the record-setting time of 9:52.819, beating his previous record of 11:11.32, while Tracy was less than six seconds behind, placing second with 9:58.262. Dunne reached speeds above 144 MPH throughout the mountain’s straightaways, and traversed 156 turns, ranging from hairpin, blind, decreasing radius, and multi-apex turns, while consistently gaining elevation up the technical 12.42-mile course. The 2012 Royal Distributing Canadian Enduro Championship is in the books and all involved agreed it was another huge sucess. WEC crowned new Canadian Enduro Champions in many of the classes. On Sunday September 2nd the Royal Distributing Canadian Cross Country Championship will begin and since this is the first true National Cross Country Championship of its kind there will be new Champions in ALL the classes. Riders from across the country will have the opportunity to compete for a National Championship with only two weekend’s worth of racing. By integrating the National Championship into existing Cross Country Series the level of competition will be better than ever. Round 1 in Ormstown, Quebec will be part of the hugely sucessful FMSQ series. The following weekend Round 2 will take place at Motopark in Chatsworth, ON which will also be the final round of the Wiesner Insurance Ontario Cross Country Championship prestened by APEX Cycle KTM. At the Motopark event the course will consist of the full trail system and the full MX track with live engine gate start. Many riders have been asking how the classes will work because there are some differences between the WEC and FMSQ classes. The WEC classes will be used to determine the Championship because they are in line with the majority of race series across the country. At the FMSQ event WEC will score the race in tandem with the FMSQ timing crew. At event registration in Ormstown riders will sign up in the FMSQ class that suits them (see below) and wear a FMSQ transponder which will be provided at no cost to riders from outside of Quebec (a $100 refundable deposit will be required) and then sign into the WEC scoring system in the appropriate WEC class. FMSQ will score the event in their normal fashion and award the trophies accordingly. WEC will then post the results on the WEC site in the WEC classes. The FMSQ will accept race licenses from Pacific North West Motorcycle Asscociation, Alberta Dirt Riders, CMRC/WEC. The FMSQ Classes are in Red and the WEC National classes that correspond are in Black. World Enduro Canada is encouraging all Canadian Cross Country racers – particularly those from the east – to make a point to attend these events. If your a serious racer and want a shot at a National Title to see how you stack up to the best in Canada or if you just want to be part of a ground breaking series then you owe it yourself to attend these races. 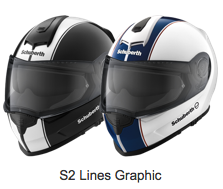 Schuberth announces the S2 full face helmet, the latest in their aerodynamic, aeroacoustic motorcycle helmet collection, will now be offered in Hi-Viz Yellow and the classic-look "Lines" graphic. "Response to S2 has been outstanding and we've received requests for Hi-Viz and graphics," says Randy Northrup, Schuberth North America's General Manager. "We know this is important to our customers and are proud to offer the premium full-face helmet in color and graphics options to match their gear or bikes." 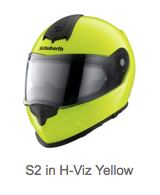 The S2 is not just another high-end full face helmet with integrated sun visor. It is the world's first motorcycle helmet with an internal Dual Antenna which will enhance the reception of the Bluetooth® Schuberth Rider Communication System. The extraordinarily light and quiet S2 also features a backspoiler which is molded into the shell to reduce drag, and a full-circumference "trim spoiler" around the base of the helmet which also reduces drag and keeps air from flowing under the helmet creating noise. The internal sun visor, luxurious Thermo Cool liner and the advanced Air Extraction System make the S2 an unrivaled all-around helmet. Soem pretty cool technology from the people at Piaggio. They've come up with an optional kit you can buy for the Piaggio X10 - 125, 350 and 500cc models, that allows you to connect your scooter's telemetric data to an iPhone, without wires. The App itself is free - you just need to buy the mount. The heart of the system is the dedicated control unit. 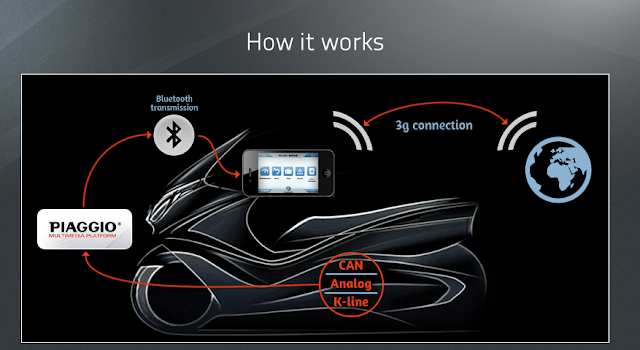 All of the data from the scooter is collected (via K-Line, Analog Line and, for Piaggio X10 Executive, CAN Line) and transmitted via Bluetooth® to your iPhone (Apple certified, MFi, Bluetooth® Gateway). The App, available free from the Apple Store, summarises the data and makes it immediately available for consultation on the smartphone. The package is completed with the universal bracket, which is already included for some models, and the specific iPhone mount, available as a separate accessory. Piaggio Multimedia Platform is compatible with iPhone (3Gs and newer) and iPod Touch (third generation and newer). Is it usable and compatible with any smartphone? - Currently the system is dedicated for Apple iPhone, starting from the 3Gs version, and the iPod, from the third generation on. Is the iPhone/iPod cradle included in the kit? - The scooter owner must select and purchase the support cradle based on the specifications of his or her device. Authorised Piaggio Centres are available for any suggestions and support for installation. The Piaggio X10 Executive comes standard with a universal bracket which can be mounted on the centre of the handlebar (optional on the Piaggio X10 standard) where this cradle can be mounted. How much does it cost to update the app? - Nothing! The app is free and automatically receives updates from the Apple Store free of charge. It will be the only Saturday event this year, August 11th at the famous Gopher Dunes motocross facility. Racers have been talking about this race since the completion of last year’s event at this fantastic race course. In 2011 we saw some serious motorcross contenders come out and showed the crowd the fast way around this track. The forest section was long and the two hour race really challenged all classes. In the end, experienced motocrosser and off-road sensation Josh Long took the win. This year, Gopher Dunes will feature our proven Moto Cross Country format. What this means is instead of a race that is 2 hours non stop, we have two motos of one hour each separated by a break of just over an hour. WEC introduced this style of racing early in 2012 at facilities where an MX starting gate exists and the course lends itself to this style of competition. Gopher Dunes is a natural for this format. The Moto Cross Country style allows racers to ride closer to their limit while still building endurance. Feedback from all riders that have participated in this new style of racing confirms that the result of racing in this format will create faster riders. Elevating the level of talent in Canadian off-road racers has been a key part of the WEC mandate since we began organizing motorcycle racing in 2006. Weather conditions appear to be optimum for this weekend. The hot temperatures this summer have had a hand in creating some very tough events this year. With temperatures looking like the low 20s for this weekend and some minor rain leading up the race, we should be looking at perfect conditions for this event. The motocross track will be in spectacular shape as always with the groomer out in the morning and the watering system operating making for excellent traction at this well known sandy track. The forest section of the course will feature the high speed trails and big bermed corners many know. A section featuring man made “Endurocross” style obstacles was a spectator favourite last year and we will see that again this year. Pee Wee racers will get to experience once again the extensive mini MX track with exciting obstacles designed specifically to challenge and entertain our small wheel competitors. Of course Gopher Dunes offers camping Friday night as well as Saturday night for all racers. Full facilities are on site making for a pleasant stay and the Pro shop will be open for those needing any last minute parts and accessories. In addition, the concession stand will be there serving up great hot food and beverages for all in attendance. You really can’t beat this set up for a comfortable race day for spectators and racers alike. Due to the very dry conditions this summer, it should be made clear that there is still a total burn ban in effect in the area so those camping must respect this requirement. Will Josh Long repeat this year due to his expertise in both motocross and off-road disciplines? Will the ultra prepared and hard charging Brian Wojnarowski or the sharply focused and consistent Kevin Cockayne have what it takes to compete with the outright speed of motocrosser like Derek Arnold? We will have to wait until Saturday to find out. A few things will be certain, WEC will be paying its Pro riders 100% payback as at every round. We will also see the Royal Distributing $50 Leader At Halfway Award, the Wiesner Insurance $100 Pro Holeshot award, the Wiesner insurance $100 Fastest Lap Award, and the Apex Cycle KTM Canada Amateur $100 Holeshot Award. With all this money going back to our riders and an entry of $45 for all adults and $25 for Minis, it’s the best value in racing around. Ontario's Algoma Country and Thunder Bay Tourism have announced "Ride Lake Superior", a ride guide website offering seven touring routes around Lake Superior. The website provides riders with the best motorcycle friendly accommodations, restaurants and attractions, "all attractions and operators have been vetted through motorcycle friendly criteria to ensure the needs of riders are understood." The Ride Lake Superior website has plenty of must see stops along the tour and operators were only added to the stops if they passed 6 out of 10 requirements according to Carol Caputo, Executive Director for Ontario's Algoma Country. 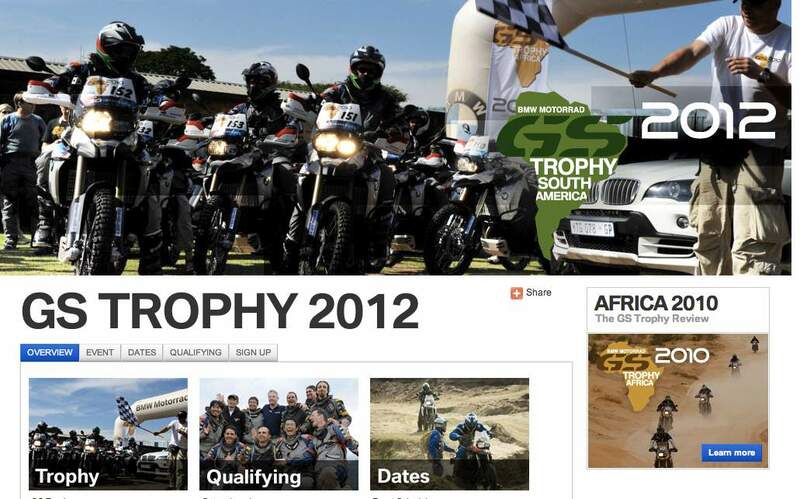 "This is ground breaking, an epic tour"
"The GS Trophy is not a race - it's a thrilling skills course designed for riders of all levels, with points awarded for finishing various challenges. You don't need to be an expert to participate, you just need to bring a BMW to ride. And since it's a social event as well as a riding challenge, contestants will also be judged on their abilities to capture the experience through words and pictures. The Insurance Corporation of British Columbia is a provincial Crown corporation established in 1973 to provide universal auto insurance to B.C. motorists and they've got an interesting map on their site that shows where the bulk of city motorcycle accidents occur. Unsurprisingly it's at some of the key intersections in cities with high volumes of traffic. Jill Blacklock, road safety delivery manager for ICBC, has indicated that crashes involving motorcycles and those that strictly involve cars occur in the same places - busy, high volume intersections. Second-quarter Motorcycles segment sales volume fell by 4.2% to 37,409 units (2011: 39,061 units). Segment revenues dropped by 8.9% to € 410 million (2011: € 450 million) due to lower volumes. EBIT increased by 2.1% to € 48 million (2011: € 47 million) and the profit before tax for the quarter remained at the previous year's level of € 47 million. The number of motorcycles sold during the six-month period went up by 0.5% to 64,424 units (2011: 64,110 units), enabling revenues to edge up by 1.3% to € 858 million (2011: € 847 million). EBIT improved by 9.0% to € 85 million (2011: € 78 million) and the profit before tax rose by 9.1% to € 84 million (2011: € 77 million). The market launch of the BMW Scooter in Europe is expected to provide a boost to sales volumes in the second half of 2012. BYR/FOGI Racing’s Ben Young battled through limited track time due to unusual weather conditions during qualifying at this past weekend’s AMA Pro GoPro Daytona SportBike race at Mazda Raceway Laguna Seca. Young’s determination and adaptability to a new track earned him a 15th place finish - his best finish of the season. After missing AMA Pro Road Racing’s 7th round at the Mid-Ohio Sports Car Course in Lexington, OH, the Thornbury Ontario resident was looking forward to his first ever visit to Mazda Raceway Laguna Seca’s legendary 2.238-mile natural road course. Three of the four classes that make up the AMA Pro Road Racing classes were featured alongside the international stars of MotoGP as part of the Red Bull U.S. Grand Prix. Young was able to attend the Red Bull U.S. Grand Prix at Mazda Raceway Laguna Seca thanks to a supportive group of local contractors that contributed towards the team attending Round 8 of the AMA Pro Road Racing season. The local contractors that stepped-up to further Young’s development in North America’s premier motorcycle racing series included: Viceroy Homes (Collingwood), J H McNabb Construction Ltd, Bumstead Brothers Plumbing and Heating Services, Thornbury Home Hardware, Lakeshore MGF Services Ltd., Cory Gray Drywall Systems, Creek Valley Inc, Corinthian Kitchens & Bathrooms Grey Bruce Roofing & Reno’s & Precision Septic and Earthworks. The young Scottish-Canadian was thrilled to be finally able to experience the famed corkscrew during Friday’s first and only practice session. Posting the 20th fastest time of the session Young was eager to get back out and lay down some faster laps during Saturdays morning’s qualifying session. Unseasonable weather conditions and thick fog along with the strict MotoGP timelines resulted in the cancelation of Saturday’s first qualifying session. AMA Pro GoPro Daytona SportBike’s second qualifying session did start as scheduled however a red flag left little time for Young to significantly improve his lap times. Young utilized the three laps to the best of his ability to achieve 15th fastest in the session. In total, Young had sixty-five minutes of track time to learn one of the most technical circuits in North America. Between Friday’s practice and the second qualifying session his combined results would see him start 18th on the grid in Sunday’s 20 lap race. In the only AMA Pro GoPro Daytona SportBike race of the weekend, Young got a good start from 18th on the grid. BYR/FOGI Racing’s young pilot battled throughout the race with Huntley Nash, Aaron Gobert and Michael Beck. Young raced hard right to the line passing Nash and Tommy Aquino on the final lap in the first corner but ran wide in the last corner allowing Aquino by. Young would then regain the spot from Aquino to take the checkered flag in 15th position, his highest finish to-date in this highly competitive championship. Young was asked about the race and the Laguna Seca track: "The track is brilliant, better than I imagined it would ever be. I had a great race and I’m very pleased with finishing 15th. I’m looking forward to the next round at New Jersey Motorsports Park. The Red Bull U.S. Grand Prix is a great event and it gave me a chance to catch up with a few of our season-long sponsors; Akrapovic, Motul and Arlen Ness. It was great talking to the guys and to thank them in person!"